Monday – Sunday: 5 p.m.. – 12 a.m.
Glace Grill is a great option for artists who burn the midnight oil. 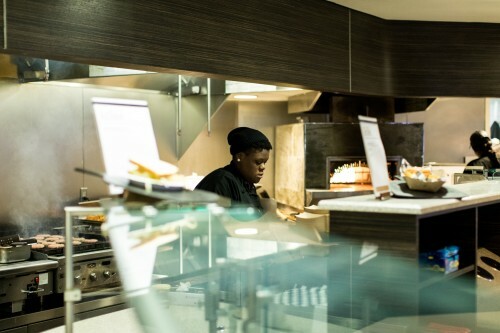 Located in Glace Hall in Founders Green, Glace Grill is the only late-night dining room on campus. Catering to those whose work extends beyond normal business hours, it's perfect for recharging with snacks, a pizza or other grilled items.